A higher Google ranking results in more free website traffic. Appearing on the first page of Google is a key goal of many businesses. Being easy to find brings valuable traffic to your site which will translate into more leads and sales for your business. Search Engine Optimisation (SEO) is the process of implementing a number of techniques based on your web content, structure and links to achieve a high ranking by Google and other major search engines. Your website’s position on Google is referred to as your organic ranking when it doesn’t include paid advertising such as Adwords (or Pay Per Click). This results in your website being found near the top of Search Engines and not lost amongst your competition. Studies have shown that over 90% of people never search further than the first page of Google – can you afford to miss out? We value your privacy and will not share your details with any other organisation. 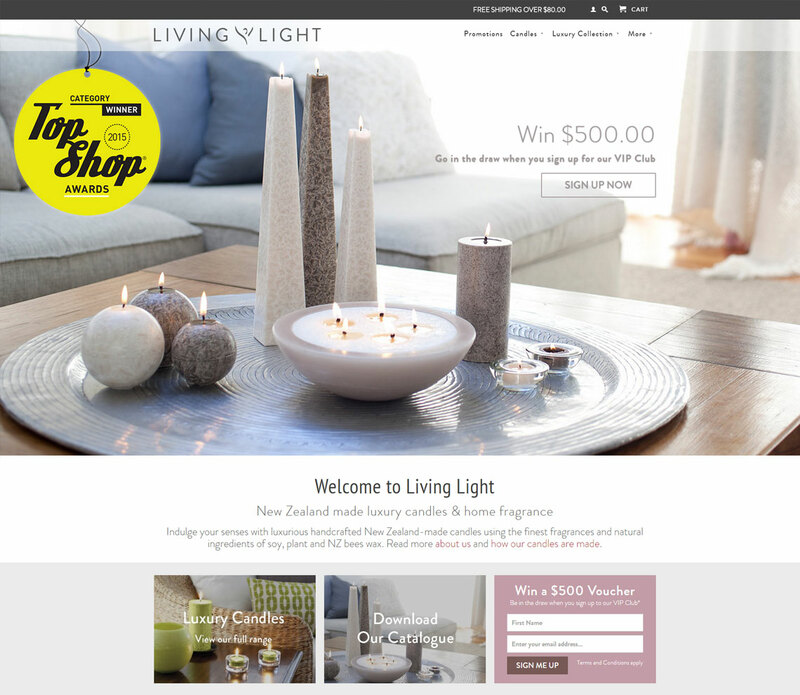 Living Light Candles were the proud winners in two categories for the ‘Top Shop 2015 awards’ for the Upper South Island. This included the ‘Retail NZ Small Single Store’ award and ‘Retail NZ Single Store Omnichannel’ award. 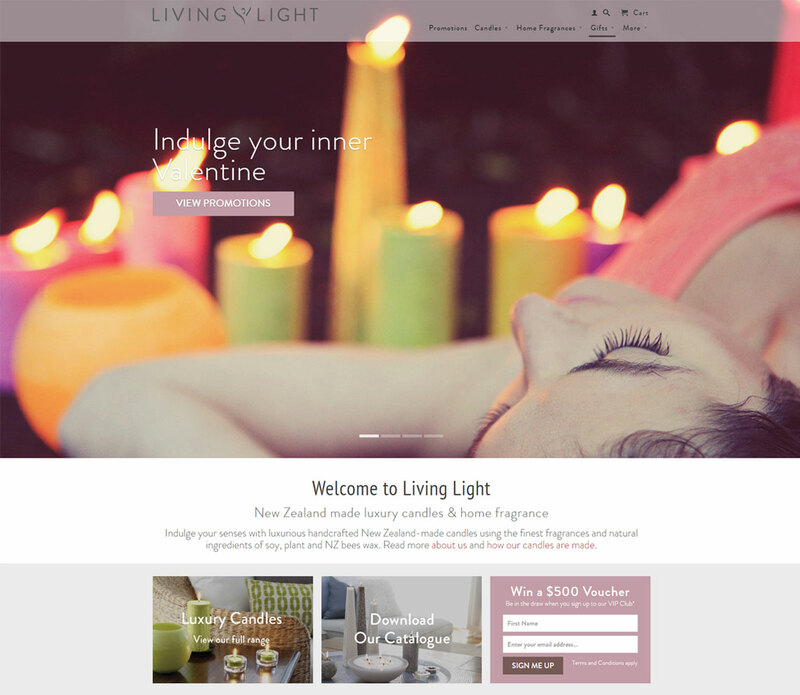 Onmark Limited designed and delivered Living Light’s E-commerce website in 2014 to support their retail stores based in Nelson and Dunedin. Since then, Cynthia Baur, director of Living Light, says that her “brand has been brought to life online” and “website sales conversions have doubled”. This has been driven by an exceptional product range and powered by Onmark delivering a website that truly showcased their New Zealand made luxury candles and fragrances, as well as providing social media and Adwords support online. 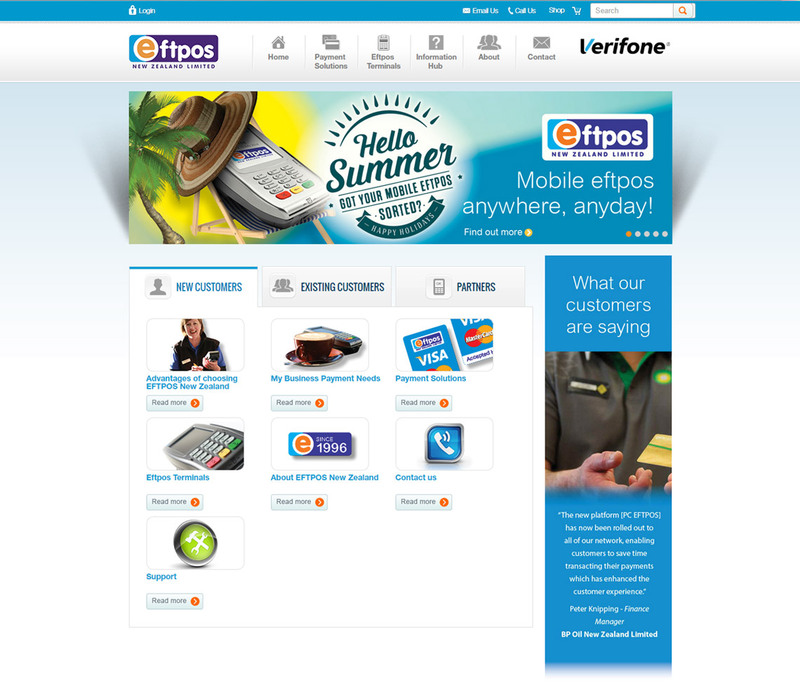 The payment solutions market is highly competitive in New Zealand but an exciting and transformational one. New technologies such as ‘tap and go’ are constantly giving rise to opportunities for business growth as both retailers and consumers search for better payment solutions. Onmark’s solution was to adopt a highly targeted approach using Search Engine Marketing to reach businesses actively searching for a payment solution that would fit their exact requirements. Realsure’s primary goal is to be a market leader in home inspections with a focus on three core markets. The existing website did not support this goal as it was not designed well. Onmark started with an analysis of Realsure’s existing website and in particular their visitor behaviour using analytics software to gauge how well the website was performing. We then established a digital roadmap which highlighted key areas for growth. Phase one involved the successful launch of the new website. We started this phase with a foundation of research into keywords that would ensure page 1 Google rankings for the Realsure business. The new visual design enhanced Realsure’s online presence dramatically and we placed a lot of emphasis on well written content, ease of use and clear calls to action. Onmark delivered the new website within a very challenging timeframe and on budget. 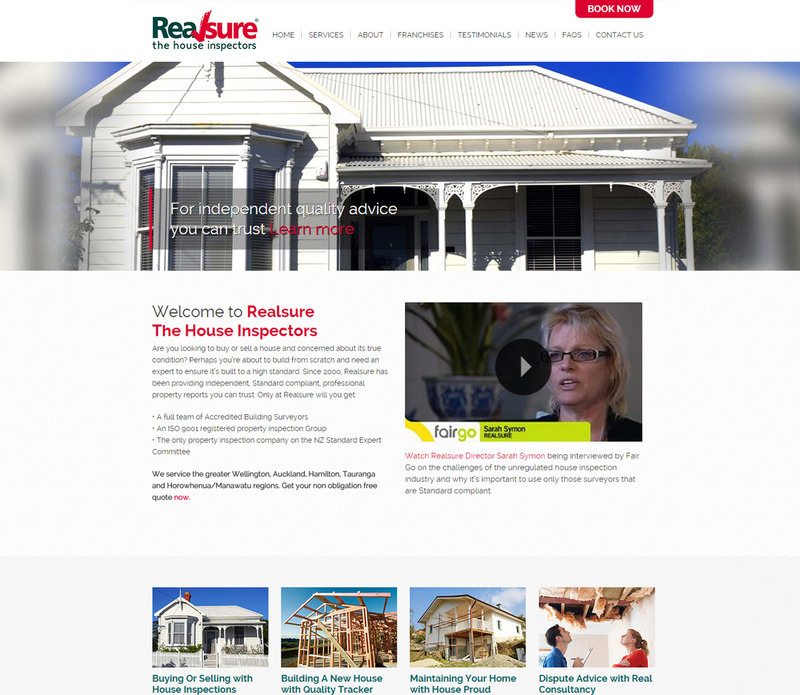 Within days of the new website being launched, a regular stream of quality leads were generated for Realsure’s business. 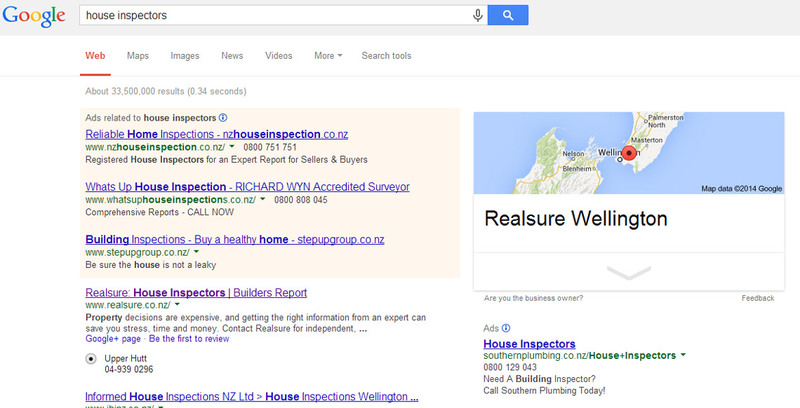 Following the launch of new website , Realsure appeared #1 on Google for their key term “house inspectors” as well as across a range of other keywords. As a result, there was a surge of 800 organic (unpaid) visits in the first month from higher search engine rankings. 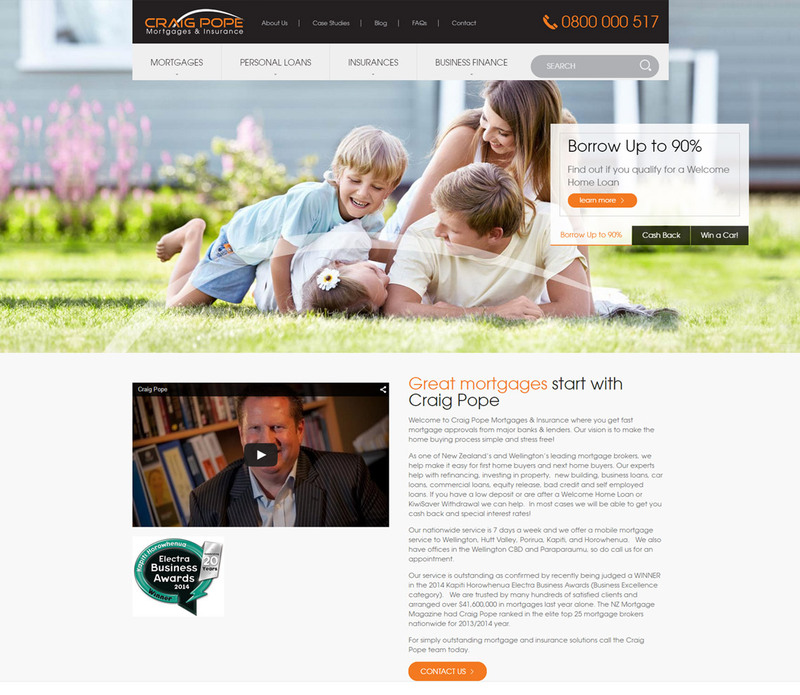 Craig Pope Mortgages & Insurance is a leader in the Wellington region providing superior mortgage deals and advice for its clients. Onmark started by using Digital Insights to assess how visitors engaged with the old website to see which pages were effective in order to better structure the new site and produce opportunities for additional conversion to enquiry. Our open source web platform ensured all functional requirements were met and the client could make updates at any time giving full flexibility for running promotions or changing information such as latest interest rates. One of the key challenges of rebuilding this site was taking the time to really understand the business, key drivers of enquiry and reorganizing the large amount of information in a structure that would be intuitive to the visitor to enable them to find the information easily and then make contact. “Our website was needing a serious overhaul so I approached 3 web design companies to pitch their best proposal. I ended up selecting Onmark on the strength of their expertise and focus on conversion led web design. 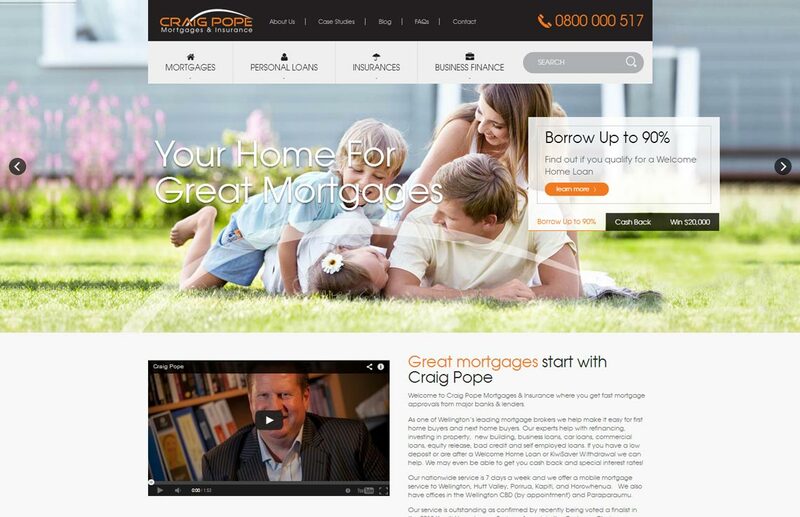 During the web build Onmark kept me involved in every key decision from choosing a design I felt represented the Craig Pope brand, through to assisting with the content and structure so clients could easily find what they were looking for. 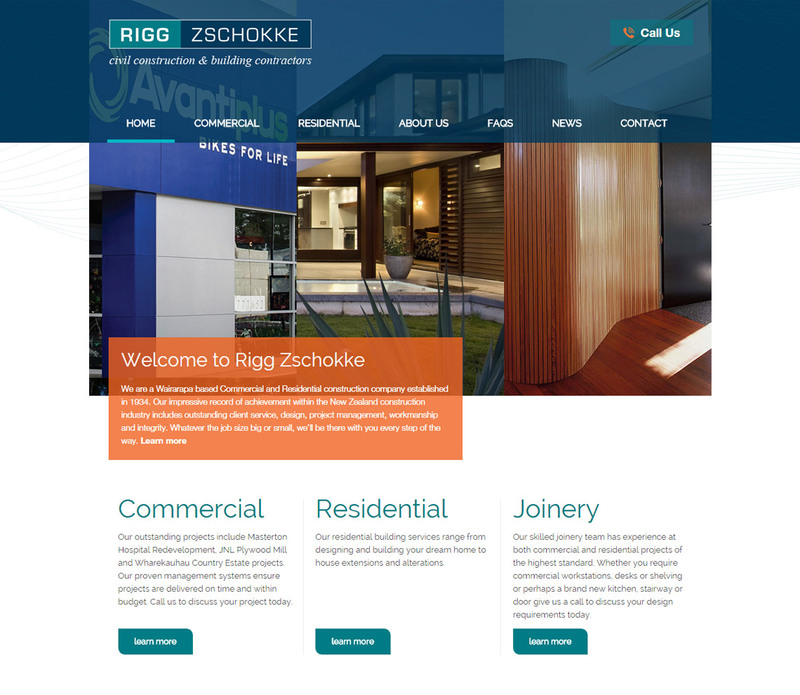 Rigg Zschokke are one of NZ’s leading Commercial and Residential construction companies. Our brief was to help showcase their expertise in design, project management, workmanship and service. The emphasis on beautiful photography and case studies was balanced with strong call to actions to drive enquiry throughout the site. Notice how video is also used to bring an additional element to the homepage to help personalise the messaging from Chris Hurrell who is the General Manager of Rigg Zschokke. 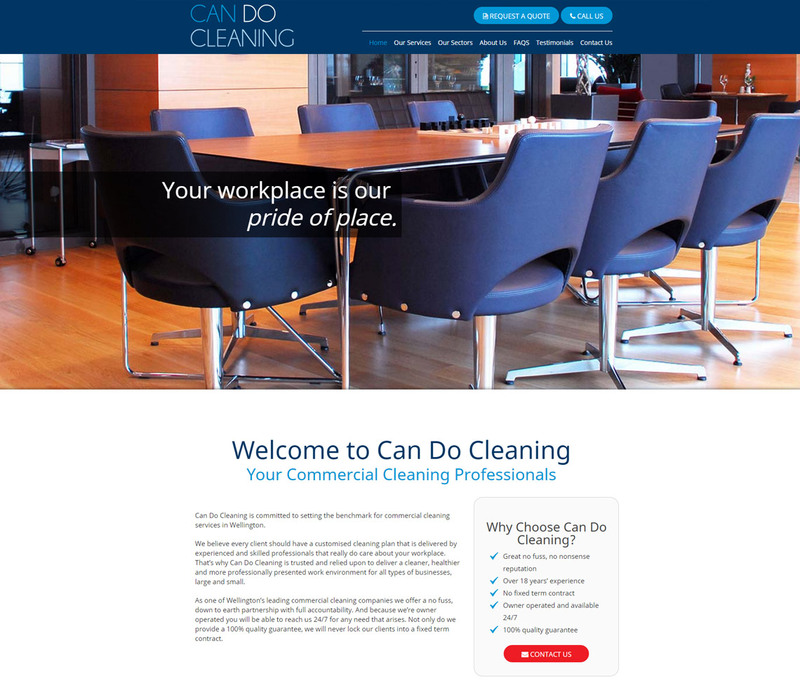 Can Do Cleaning has a wide-range of diverse cleaning services, so the website needed to reflect this. We divided the website into specialty sections catering to the exact requirements of each individual business location. 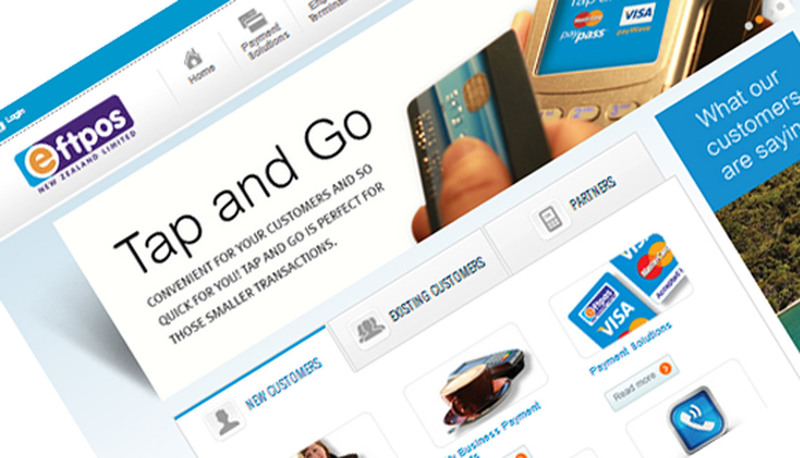 "We engaged Onmark to build our new website and were delighted with the result. Following the launch, we moved our advertising budget from Radio to Online Marketing and within a few weeks we started to get new clients! We highly recommend Onmark if you are looking to improve your business results." - Renata Lemow, Director, Can Do Cleaning Limited.